Please note that TCM, Metta and Vipassana Meditation, Yoga, Longevitology sessions in the respective Hall or rooms or Airwell Area will need to be temporarily closed during the above periods. Other activities will go on as usual, eg. our regular Sunday Puja Service (English), New & Full Moon Chanting & Vegetarian Lunch, Breakfast & Lunch Dana for Monks and other activities using the Shrine Hall (no renovation in Shrine Hall except some cabling works, video system upgrade and relocating the sound system to the left). 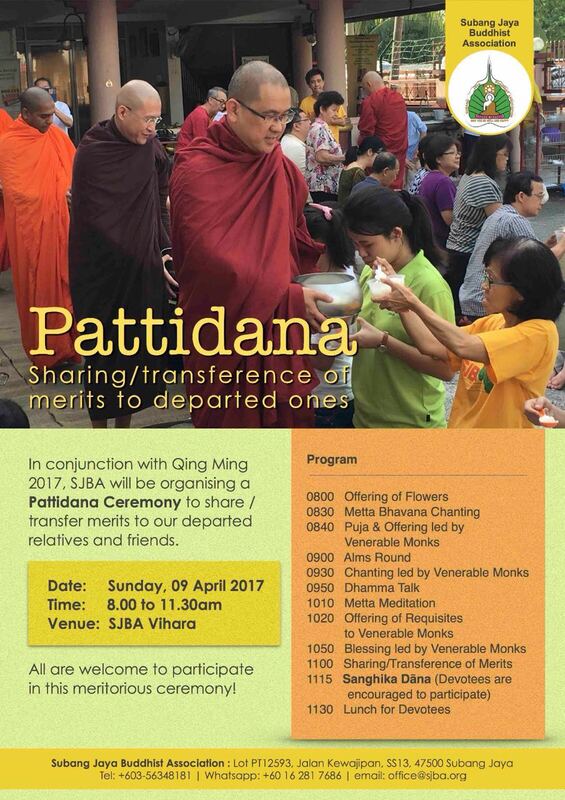 Our Sunday Dhamma School will reopen on 9th April 2017 for existing and new Students. Registration is open now, on first come first serve basis. Confirmation of place is upon submission of Registration Form with Payment to Sis. Lily (Tel. : 03-56315299, 016-3379086). Registration closed on the 5 March 2017.